After fading away as cell phones became “smart phones,” the foldable phone is probably to make a comeback. 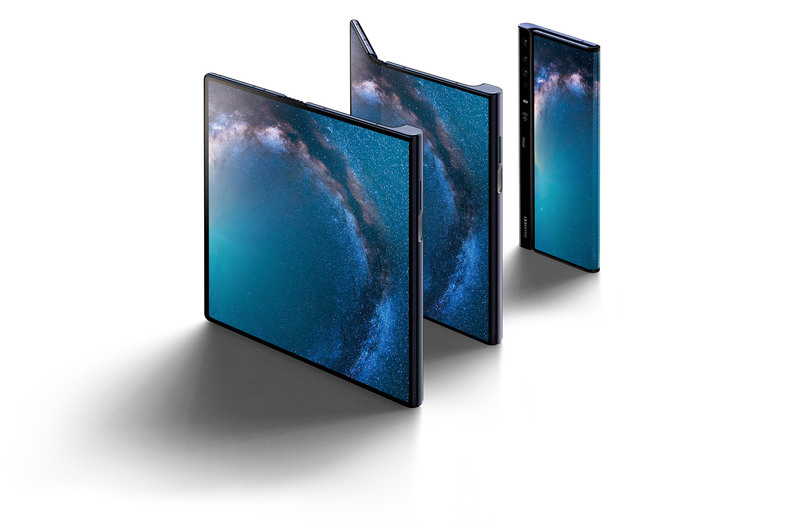 ​What do we know about foldable screen phone? It was during this time that the “flip phone” put the industry on its head. 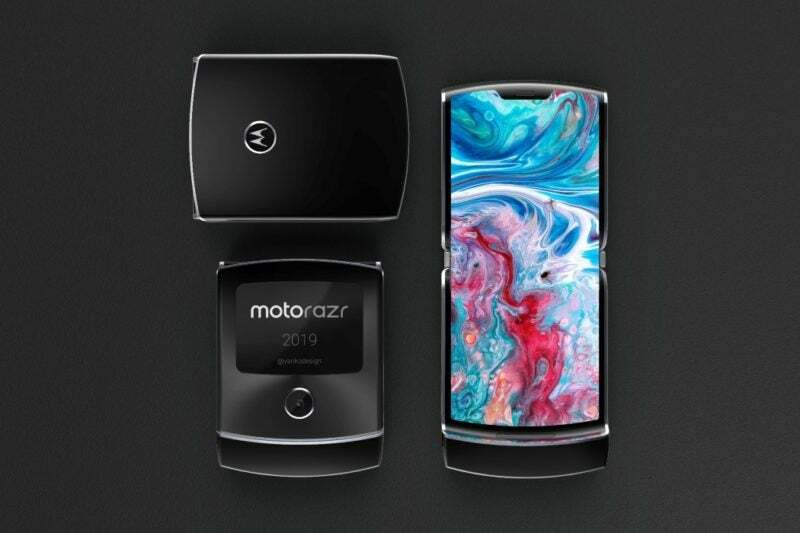 Motorola rolled out the Razor phone as a compact, super-thin flip phone foldable phone that you could easily put in your shirt pocket. It became the most-wanted phone around. But soon people’s tastes shifted. Apple completely changed the industry with the launch of the iPhone. Samsung quickly followed with its line of Galaxy phones. This brought about phones with much greater capability with regard to function – people began using the phone to watch video, engage on social media (especially Snapchat, YouTube, and Facebook Live), in addition to the more traditional functions of text messaging and internet browsing. Foldable phones took a back seat in this environment, as people wanted larger phones to be able to use them for the more visual functions. Therefore, phone manufacturers have found a way to combine the large display people want with the folding capability to keep the phone as compact as possible. The first two such phones were revealed recently. 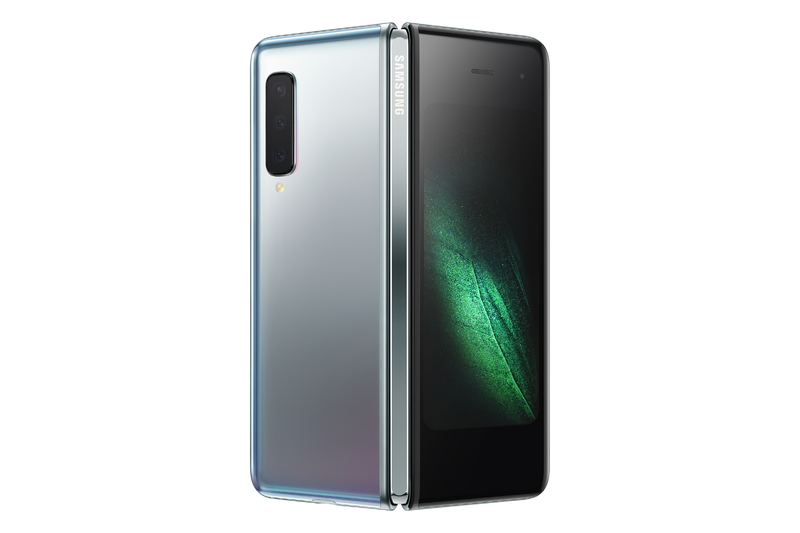 Two main entrants to the foldable phone arena are the Samsung Galaxy Fold and the Huawei Mate X. Reaction has been more favorable to the Mate X, which has a single large display that wraps around the outside of the device when it’s folded. The Galaxy Fold has a large main display that’s situated on the inside of the phone when it is folded closed. Then there’s a second smaller screen on the outside that lights up when the Galaxy Fold is closed (known as “phone mode”). In other words, the Fold actually folds inward while the Mate X folds outward. The Fold is very thick, and the outside display in phone mode is very small. The Mate X is more prone to scratches with the display on the outside. One major force working against the Mate X is that it will not be available in the United States initially. Huawei and the US government have a very tense relationship, and that complicates the availability of Huawei products. Here is the side-by-side comparison of the phones with the information we have for the 3 most well-known foldable phones. How much is Samsung Galaxy Fold? How much is Huawei Mate X? These are the 2 foldable phones that everyone is talking about, but they are not alone. ZTE is also working on a foldable phone. This company actually went first in the foldable smartphone parade, thanks to the ZTE Axon M (released in December 2017). It failed quickly, as there was a gap between the two screens when the phone was opened. Further, Google provided very little Android support. However, armed with that experience, ZTE has some experience the others do not have, giving them more insight into what customers like and don’t like. So what about that new Motorola Razr? It seems to be a foregone conclusion that the Razor is coming back. But Motorola is being very tight-lipped about it. When asked about it by USA TODAY, Motorola responded with a video depicting the "shrug" emoticon, ¯\_(ツ)_/¯, and the company's logo. Plus, we have a new twist: It appears Sharp has patented yet another design for a foldable smartphone, as reported by Dutch firm Let's Go Digital. This design has 2 hinges, where the other phones have one. There is one right in the middle, which folds the phone in half, just like the other designs. But there is a second hinge, about an inch below the first one. This lower hinge allows for a small screen to appear at the top of the folded phone, where notifications, calendar entries or the time can be displayed. This essentially replaces the second screen that is on the outside of other models when they are folded. Still another potential entrant is Xiaomi Mi Fold, which is experimenting with a tri-fold foldable phone. Very little is known about it, and it seems to be the furthest from mass production. But that is another option to keep an eye on. As we can see in that video, Xiaomi Mi Fold will be a cup-noodle size when it is folded. Xiaomi Mi Fold might be by far the smallest foldable phone when folded up. Although information is somewhat hard to come by, it’s becoming clear that Apple will indeed be getting into this game with a foldable iPhone. At least 3 patents have been granted – one in October 2018 for a magnetic latch to keep the phone closed, one in February for a foldable clam shell similar to the Razr, and one this month for a flexible battery that will distribute heat, enabling the phone to better survive cold weather, which phones up to this point have struggled to avoid becoming brittle in cold weather. BlackBerry CEO John Chen doesn’t think this concept is particularly revolutionary. “I want something faster with functional upgrades,” Chen told Barron’s in an interview. “There are no breakthroughs on the horizon. We’ve done fingerprints. We’ve done facial recognition. We’ve done iris technology. “Everyone wants a bigger screen,” he continued, “but they (smartphones) have become bulky.” This isn’t a surprising stance, considering BlackBerry hasn’t made a new phone since 2016, and has shifted its focus to security applications. There are a number of factors that raise questions beyond what Chen mentions. The cell phone universe today still operates on the assumption that the user only focuses on one task at a time. If the user does want to multi-task – such as sending an email, then expanding the screen to find a link and insert it into the email – how well will the software of the device handle the tasks? Up to this point, no device has mastered making a split screen easy to use. There is not yet a type of glass that will bend with a foldable phone, although there is effort underway at Corning (the maker of Gorilla Glass found on iPhones and some other brands). With that limitation, the first foldable phones will have polymers – in other words, plastic. The main issue with plastic is that it is not nearly as scratch-resistant as glass. Plastic is also less pleasant to the touch compared to glass. 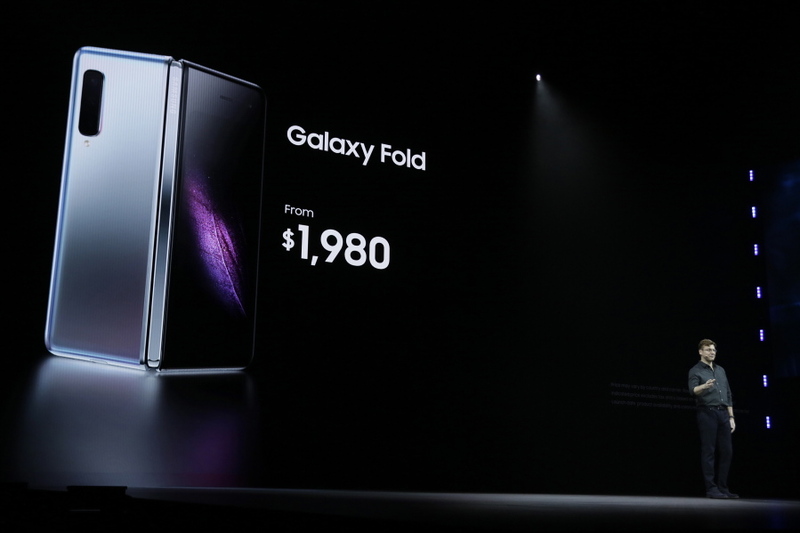 A big potential downside to both of them is price – The Mate X sells for $2,600 and the Galaxy Fold is $1,980. New technologies are usually extremely expensive when they make their entrance, and drop as the technology develops. But that development hinges on enough people buying the initial roll-out, so that manufacturers have the financial motivation to keep developing. With many phones available for less than $1,000, there is a real concern not enough people will buy the new foldable phones to ensure more production will be financially viable. There is a portion of the population that is always highly-motivated to be the first person to have the newest item available. These companies will likely need a fairly large supply of “But I had it FIRST” people to jump on board. The mobile communication world is seeing a shift away from rectangular boxes (cell phones, laptops) to wearable technologies like the smartwatch and AR glasses. This shift has been slow thanks to worries about battery power and network speed, which 5G will address. If the wearable technologies can provide a better experience, the whole concept of the cellphone – let alone the foldable cellphone – could end up in the scrap bin next to the desktop computer. So what do we know about foldable screen phone? 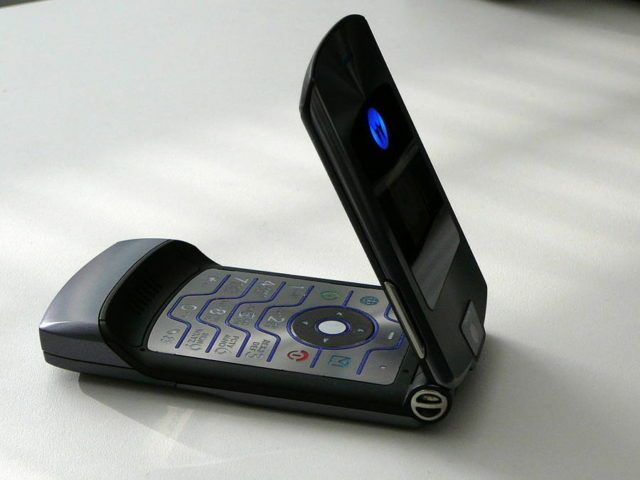 It is very early in the game, and we don’t know for sure if the foldable phone is coming back to stay and will one day have us all waxing nostalgic about the primitive days when we used cell phones that didn’t fold, or if a few years down the road we don’t remember them at all. We do know that a new generation of foldable phones is coming to market this year, and we will certainly be paying attention. We will be updating this article if there are any more news or updates from the builders. If you have any recommendations, suggestions or questions on this article, be sure to gives us a comment down below. Samsung Galaxy Watch vs Fitbit Versa: Which Is Best for You?